We were one of the first companies to start providing overland tours in the Falkland Islands. Our tours are for small groups or individuals and are provided using a suitable 4×4 vehicle with a knowledgeable and experienced guide/driver. Since 1992, we have also been providing logistical support and guidance for visiting television and media groups, working with more than 140 media related organisations to date. Similar services are available for geologists and others carrying out scientific research in the Falkland Islands. Join us on a tour to enjoy the outstanding scenery and see the wildlife in its natural environment. An informative and respectful tour of the 1982 Falklands battlefields, relaying personal accounts from the many veterans I have had the privilege to meet. Logistical support and guidance for visiting media organisations, as well as those conducting scientific research around the Falkland Islands. After growing up on West Falkland I moved to Stanley in 1988 and as one of the first overland Tour Operators, I began offering wildlife tours to Volunteer Point before adding other locations such as Cape Bougainville and Cape Dolphin from 1990 onward. In 1992 I had the opportunity to work with a host of TV companies who were all coming here to make documentaries for the 10th Anniversary of the Falklands War. Since that time I have been involved in the production of more than 130 other programmes about the Falkland Islands. Through my work over the last 28 years I have met many veterans, both British and Argentine who fought here in 1982, and I make a point of including their personal accounts as well as the factual information in the tours I provide. I have been lucky enough to visit nearly 100 different countries while filming for the BBC, in that time I have met many different wonderful guides and fixers. Tony Smith is the best. He knows the Falkland Islands like no one else. His knowledge of the battlefields is forensic. Dan SnowHistorian, broadcaster and television presenter. 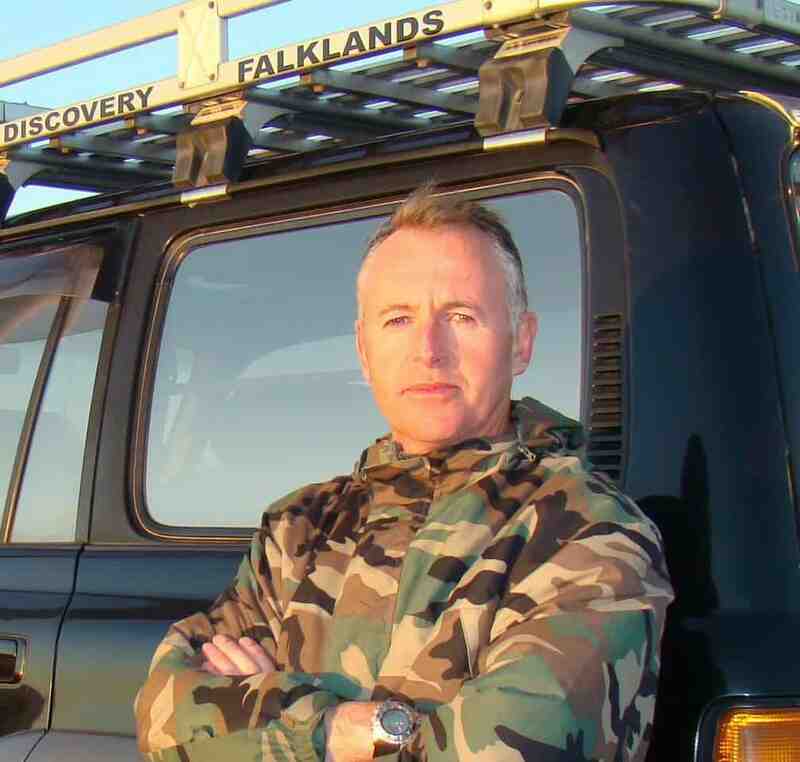 Tony Smith is the doyen of guides, battlefield or wildlife. His knowledge of the events of 1982 is based on deep research and a gathering of oral testimonies from veterans - of both sides. I can't speak more highly of Tony's tours. He doesn't just bring the perspective of a Falkland Islander who lived through the invasion and subsequent war but he has spent considerable amounts of time with the men who fought in all the major battles. An absolutely excellent, knowledgeable and patient guide and provided a wealth of fascinating information and stories, not only about the Islands history, people and way of life, but also about the wildlife, geology and topography.